In 1963, in the midst of the psychedelic revolution, a Harvard professor of Psychology was dismissed for allegedly giving psilocybin to one of his students. The professor, known at the time as Richard Albert, along with another professor, Timothy Leary, established a communal group for exploration of consciousness with psychedelics. Their experiments had a profound impact on the culture of the time. 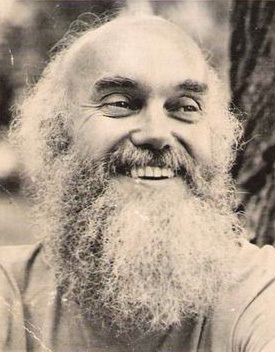 Ram Dass since became a lead voice in the movement of Eastern Spirituality to the West. Despite having suffered a severe stroke in 1997, paralysing the right side of his body, Ram Dass has continued to teach. Now in his mid-80’s, his wisdom is a testament to an intense fifty-year devotion to spirituality. 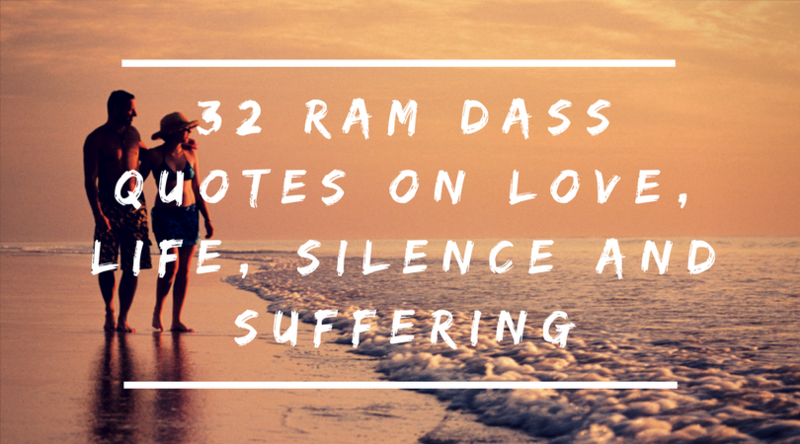 Here are 32 of the greatest Ram Dass quotes on love, life, silence and suffering. Ram Dass comes from a traditional called Bhakti Yoga. This path is oriented towards using love as a tool for awakening. That love typically manifests itself in the form of worship, either towards a guru or a deity, however even love towards someone else or an idea can be powerful enough to create long-lasting change. Existential Psychologist Viktor Frankl similarly believed that commitment to something greater than us, in the form of love, was the way to create unbelievable strength in human beings. In psychology, love is in generally known as an emotion that requires directing towards something else – an object or concept. However, in the form of spirituality that is practised by Ram Dass, love is universal and can be perpetuated for its’ own sake. Ram Dass was one of the first well known Westerners (and academics) to popularise the philosophy of the East. One of his strengths, therefore, was the ability to explain Eastern concepts in a way that was relevant to the way of life of practitioners in the United States. This is clear in his advice, which is simple and concise and continues to be sought out by thousands of people every year from all walks of life. “In mystical traditions, it is one’s own readiness that makes experiences exoteric or esoteric. Many of Ram Dass’ teachings often use the experience of silence as a directive. As is common in nondual traditions, silence is used as a pointer to experience deeper peace, presence and equanimity. This is because silence is something we can all relate to, and though we often fear or resent noise in our life, it is typically because we can’t look beyond (or behind) the noise and experience the silence that is simultaneously permeating our moment-to-moment experience. Ram Dass explains that silence “is something [he’s] been cultivating for 45 years now.” While thoughts and feelings arise and sometimes leave us agitated, if we can focus on the silence in even the most chaotic moments, we will be able to experience a profound peace that becomes a great assistance in our daily life.